After three days of scintillating poker Event #34: $5,000 Pot-Limit Omaha Six-Handed has come to a conclusion. Our congratulations go to Naoya Kihara who defeated Chris De Maci, heads-up, to become our latest World Series of Poker (WSOP) bracelet holder and the first-ever from Japan. 419 players entered this competition creating a prizepool of $1,969,300 but from midway through Day 2 there was only ever one winner. Kihara took the chip lead after eliminating top quality opponents for fun. It was seriously one of the hottest streaks of poker we have witnessed, and he will surely never have another run like it. 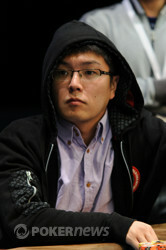 The final day started with a field of eleven players and the chip leader was Naoya Kihara. But there was one person missing and it was one of our short-stacks. Where was Kevin MacPhee? A quick glance on twitter told us that MacPhee had ran into the back of another car in the Rio car park hence his delay. We were all glad to see that MacPhee was unhurt when he arrived but that wouldn't last long. Joseph Cheong deciding to inflict some pain of his own, eliminating MacPhee within minutes of his late arrival. That was Cheong's second successive double up after crippling Daniel Hindin in the very first hand of the day. Two pair for Cheong and Hindon was down to just 86,000 chips. But Hindon is made of stern stuff and he fought back to earn himself 740,000 chips and the scalp of our 10th place finisher Dimitar Danchev after turning a set of nines. The former November Niner, Joseph Cheong, was the next to leave the competition. He got it all in holding versus the of Davidi Kitai. Cheong flopped a set of aces but Kitai rivered a flush to send Cheong out in 9th place. The preliminary final table of 7 players was set after the elimination of one of our World Series of Poker (WSOP) bracelet holders. Jason DeWitt losing an all in confrontation against last years runner-up Hans Winzeler. The final 7 players moved to the Pavilion and the shortest stack belonged to Scott Bohlman. He did very well to double up twice, but that didn't stop him from becoming our 7th place finisher. Winzeler was once again the executioner and he moved right into contention for the title behind Naoya Kihara and our new chip leader Davidi Kitai. The six-handed final table slowed down dramatically when the size of the prize jumps started to become a realisation to the players. Then after a long period of subdued nothingness Daniel Hindin, who was down to 85,000 at the start of the day, doubled through Naoya Kihara and became our chip leader for the first time in the competition. Then we lost Tommy Le, at the hands of Chris De Maci, and the bracelet race was blown wide open. All five players were within touching distance of each other and Davidi Kitai was the new chip leader. 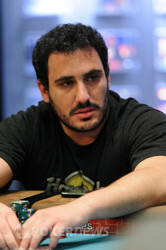 Then the biggest shock of the final table - the elimination of Davidi Kitai. The Belgian was in cruise control until he got embroiled in a huge hand with, who else but, Naoya Kihara. All of the money went into the middle on a flop of with Kitai holding and Kihara held . The turn card was the and both players hit the same straight, but Kihara was free-rolling and needed a ten for a higher straight. Bang! straight on cue the and a shocked Kitai was out in 5th place. Hans Winzeler finished runner-up in this exact event only last year, when he lost heads-up against the amazing Jason Mercier. Winzeler was hoping to go one step further this year but it wasn't to be. The japanese steam train running over Winzeler to eliminate him in 4th place. 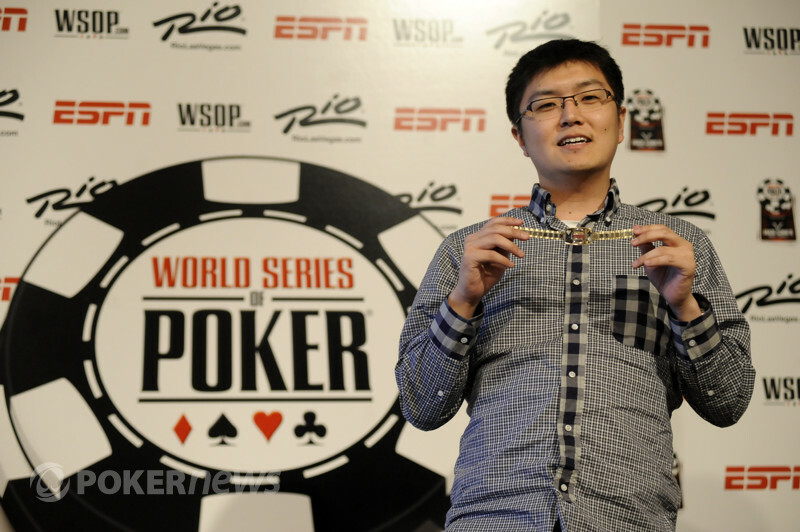 So three people were playing for their first WSOP bracelet: Naoya Kihara, Chris De Maci and Daniel Hindin. The three-way action didn't last long before Kihara got his claws into Hindin. It was a three-bet pot and the money went into the middle on a flop of and Kihara had bagged a pair of aces holding whereas Hindin held . Hindin was out and we were heads-up for the most important piece of gold in poker. The heads-up play lasted around 30-minutes and we suppose it was inevitable that Kihara would go on and win Japan's first ever bracelet. Kihara started great, De Maci pulled a few chips back but the man from Japan was always in control and the exit hand can be read below. 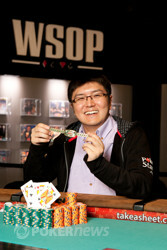 Congratulations to Naoya Kihara the first ever WSOP bracelet holder from Japan who earns himself $512,029 in the process. Also commiserations to our runner-up Chris De Maci who was an amazing talent throughout. Was there really any doubt? It almost seemed that Naoya Kihara was destined to win this. The final hand came when Kihara raised from the button and De Maci called from the big blind. 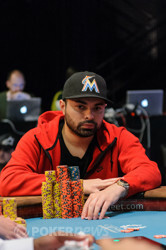 The flop fell and De Maci check-raised Kihara's 160,000 c-bet up to 550,000. Kihara set De Maci in for his remaining 450,000. Call. Kihara: for a pair of jacks. De Maci: for a pair a straight wrap. The board ran out to the the man from Japan two-pair and the title. Congratulations to De Maci who put in a valiant effort these past three days. He played with a smile and was never afraid to put chips in the middle. Chris De Maci has started to feel his way into this heads-up encounter after a bright start from Naoya Kihara. Here is a De Maci hand. Kihara raised to 100,000 and De Maci made the call. The action checked down to the river on a board of , De Maci bet 145,000 and Kihara called. De Maci turned over for the flush and Kihara mucked his hand. Naoya Kihara raised to 100,000 on the button, Chris De Maci three-bet to 250,000 and Kihara made the call. The flop was De Maci checked, Kihara bet 310,000 and it was enough to win another decent pot. Chris De Maci made up the loose change from the small blind and Naoya Kihara checked. The flop was and De Maci called a 60,000 Kihara bet. The turn was the and Kihara picked up the pot with a 140,000 bet. In the next hand Kihara raised to 100,000 on the button and De Maci called. The flop was a rather sumptuous looking . This is where it got interesting because De Maci check-raised to 360,000 after Kihara had bet 140,000. The ice cool lad from Tokyo made the call and we moved onto the turn. The dealer placed the onto the felt and both players checked through to the on the river. De Maci made the check and Kihara bet 630,000 and De Maci mucked his hand. All of a sudden we're heads-up for the bracelet! Daniel Hindin three-bet to 320,000 after Naoya Kihara raised to 100,000 on the button. Call. The flop came down and Hindin immediately bet a pot-sized 640,000. He had 265,000 back and Kihara set him all-in. Call. Hindin: for a pair of kings. Kihara: for a pair of aces. Hindin looked at what his opponent opened and said, "The s#it you turn up!" The board ran out and that was no use for Hindin. 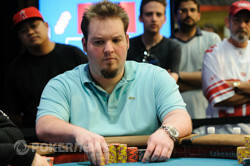 Daniel Hindin raised to 80,000 from the button and Chris De Maci defended the big blind. The flop was and De Maci check-called a 150,000 Hindin c-bet. Moving onto the turn and this time De Maci surrendered his hand in the face of a 290,000 Hindin double barrel. Naoya Kihara raised to 100,000 on the button and Hindin made the call from the big blind. The flop was and Kihara won the pot with a 150,000 c-bet. Chris De Maci raised to 90,000 on the button and Kihara called in the big blind. The flop was and Kihara check-called a 140,000 De Maci bet. The was checked through on the turn and Kihara won the pot with a bet at the sight of the on the river. Kihara made up the small change from the small blind and De Maci checked his option in the big. Kihara then proceeded to check-call three-streets of De Maci value on a board of . The bets were 45,000, 115,000 & 210,000 and De Maci turned over to scoop the pot. Close but no cigar again in this tournament for Hans Winzeler. He raised to 140,000 from the button and Naoya called from the big blind. The flop came and Winzeler's last 80,000 chips went in. Call. The board ran out to confirm Winzeler's exit. The Final Day of Event #34: $5,000 Pot-Limit Omaha Six-Handed - It's Going to be a Cracker!